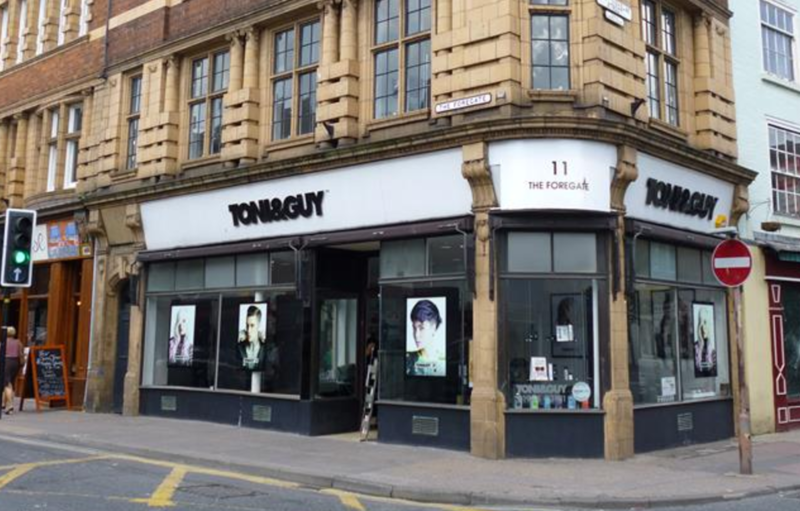 TONI&GUY Worcester opened in the town in 1999. As a salon we pride ourselves on delivering the highest standards of customer service to each and every client. Our talented team of stylists and technicians are on hand to give you expert advice and create hair that is individual and easy to live with, interpreting fashion trends with versatile wearable styles. We offer many additional services including Bridal and Occasion hair and the NanoKeratin Smoothing blow-dry. Our wide range of haircare products include label.m, Kerastase, GHD, L’Oreal and Tangle Teezer to keep your hair salon perfect until your next visit. Danni did my hair yesterday and I am so so so pleased with how wonderful she made my hair look and feel. I highly recommend her and I will definitely be coming back again and again. All the staff were very welcoming. My stylist was Danni and she was amazing. I highly recommend her. She has made my lifeless bonce all beautiful and full of life and I feel a million dollars! Would highly recommend her and the salon. All the other staff were brilliant, made me feel right at home, so friendly. Guess where I will always be going for my hair care from now on ???? I like that Amy listens to what I would like, cuts my hair and doesn’t spend half an hour fussing over it (sorry to those who do and those who like that). She washes and cuts my hair really well and it’s a good service. Thank you. Amy triumphed again. Another lovely cut and finish. Don't leave Amy, your the only hairdresser that knows my hair. I had my hair coloured by the brilliant hair consultant and cut by Caroline. I had exactly what I’ had asked for and more. Love my new hair style. Thank you . Always a great cut and excellent service. Friendly, inviting staff and a warm atmosphere. Amy was lovely and my hair looked great! I will definitely be back. I didn't catch the name of my stylist because I was stressed out! She was lovely though and I love my haircut. Thank You! Fabulous colour, thoughtful advice and brilliant customer care ???? Great haircut from Steve (great head massage from Josh) Really relaxing experience. Very pleased with my cut and colour today. I really trust Amy with my hair and she always does a really good job. Thanks ???? Thank you very much to Amy, she did my hair perfect, although she didn’t met me before. Will definitely come again!